Garment worker Rabeya started protesting on the streets of Dhaka in early January to pressure her employer -- one of Bangladesh’s major suppliers to European clothing giant H&M -- to pay a new minimum wage for its workers. On Feb. 9, she said two company officials from Moon Readywears Ltd. told her not to bother returning to her job after lunch. Rabeya, who uses one name, said it’s because she joined a campaign to force her employer to pay her colleagues the new minimum by the Bangladesh Government for garment sector workers -- a claim the company denies. "I was vocal in defending our rights, that’s my only fault," said Rabeya, who was paid 9,600 taka ($114) per month, which is above the minimum wage for a sewing machine operator. "We work hard day in and day out. Suddenly, our bosses come up to us and tell us to go home." More than 11,000 workers have been fired after recent labor protests, according to one labor union, as Bangladesh’s ready-made garment sector faces a renewed bout of labor turmoil. The sector is largely responsible for powering Bangladesh’s fast-growing economy: It accounts for $30.61 billion in export earnings, which is 83 percent of total exports. 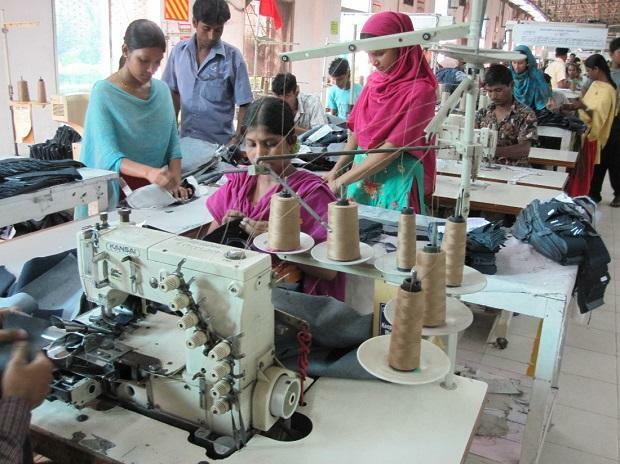 Bangladesh has the lowest wages of any major garment exporter in the world, though there are marginal exporters such as Myanmar and Ethiopia that pay less, according to Pennsylvania State University associate professor of labor relations Mark Anner. Globally, it’s the second-largest clothing exporter after China and alongside Cambodia had the sector’s fastest growth at 6 percent, according to a 2017 World Trade Organization report. But following the government’s move to increase wages just before the Dec. 30 election, workers say factories have refused to follow the new rules, while businesses have accused unions and workers of vandalizing factories. Police and employers have filed cases against more than 3,000 workers. The unrest threatens to drag foreign retailers into another high-profile labor dispute four years after the collapse of the Rana Plaza complex in Dhaka killed 1,100 garment workers in 2013. Rabeya’s former employer, Moon Readywears, a unit of the Setara Group that has done business with H&M for a decade, denied any wrongdoing. "It’s labor migration," said Anwar Kamal Pasha, the company’s owner. "If some workers of my company lose jobs, there are specific allegations of irregularities against them.” Pasha would not address individual cases and said his company was compliant with the latest wage rules. Bloomberg spoke to three workers of Moon Readywears who said they had lost their jobs. One of them, Abdul Mannan, a quality inspector, said he was fired Wednesday. Another, Mohammad Rana, was arrested on what he said was trumped-up charges of vandalism during street protests in a police case “influenced by the company”. He was later released on bail, but he was fired from his job. The third worker, Abdul Mannan, wasn’t given any explanation on why he was fired. He claims the company owes him dues. Pasha did not respond to calls seeking comment on these claims. In a public statement, Hennes & Mauritz AB, known as H&M, said workers "have recently been dismissed from three factories that produce for H&M," among others, and said it was closely monitoring the situation. The Bangladesh government is caught trying to strike a difficult balance between millions of workers and a sector that powers the economy, said Pratyush Rao, an associate director for India and South Asia at Control Risks, a consultancy. Facing pressure ahead of the country’s general election in December, the government raised wages but only to 8,000 Bangladeshi taka -- half of the union demands for a 16,000 taka monthly wage, Rao said. Although he doesn’t think the government will roll back wage improvements, there is the possibility the administration "may look the other way" rather than strictly cracking down on ready-made garment, or RMG, factories. "The government sees the RMG sector as a golden goose," Rao said. "It’s one thing to come out with guidelines, and it’s quite another in this part of the world, to ensure compliance." The situation in Bangladesh should be causing foreign retailers to pay attention, said Mark Anner, director of the Center for Global Workers’ Rights at Pennsylvania State University. "Local factories must come into compliance with the law," he said. "And brands and retailers need to review their costing practices to adjust for the wage increase."